Michael Farley is the real deal. His life and his art are one. From playing sax on the road for years with R&B bands, working with experimental pioneer Kenneth Gaburo, to becoming a professor at the edge of New York state, his genuine, singular, gentle, curious soulfulness follows wherever he goes. It is the music of late-night post-gig drives when your mind is dreamily trying to make sense of your life. His relatively few compositions are rare treasures of where his mind and body have traveled, connecting reflections of place that are as musically unconventional as the spirit they convey. Tape, analog electronics, sax, and voice are the methods; love and tenderness abound even in the harshest noise. 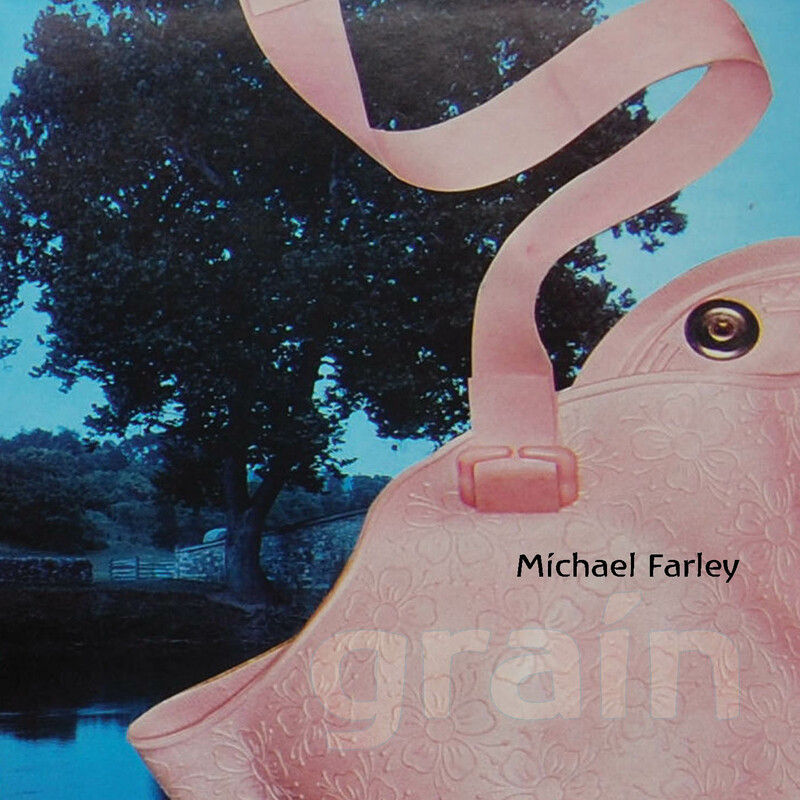 Michael Farley’s saxophone, his voice, his film work push and probe into the GRAIN of every image, every sound. Add Barbara Phillips-Farley’s warm pianistic embrace of each note, Guy Berard’s surreal cover images and Robert Motherwell’s brush grazing ink across rice paper. It’s a rich package for the eye, ear and heart. Michael Farley has led a life of diversity. From his years on the road playing sax in R&B bands to his studies with experimental artist/guru Kenneth Gaburo to becoming a professor upstate at New York's St. Lawrence University, Farley's music is marked by a balance of intellectuality and downright funkiness. "No Eyes" is an earthy narrative about saxophonist Lester Young, a musician's musings on people, life and what fades away. Farley's rich, evocative voice is recorded with such intimacy that you can almost hear him lick his lips before speaking the next sentence. Backed by his sax playing, drums and guitar, Farley does a superb job of delivering the text of David Meltzer. "…After Motherwell" is a two-channel tape piece characterized by a dramatic use of silence, quavering drones and small sounds, all carefully juxtaposed to telling effect. Pianist Barbara Phillips-Farley gives "Camellia," for piano and tape, a spacey, evocative reading that's vaguely noir-ish and dreamlike. "Brown's Hymn" features deeply personal musings on predestination, obligation, spirituality and the meaning of the blues. Farley speaks with warmth and self-knowledge, and then launches into a sanctified, multi-tracked hymn and sermon. This is way-deep blues, and Grain is filled with deeply satisfying music. Also included is video/electro-acoustic piece "Milton Avery in Kansas," a hypnotic meditation on a Midwestern grain field.